If you’re thinking about purchasing Clones, or have already here are some tips that will hopefully help in keeping clones alive through to harvest! With all the choices out there for growing cannabis, some choose to grow from seeds, this is just so they know that it was fed all organic from the start, Others like to save time and money by purchasing clones. Weirdly enough marijuana is one among very few plants that is able to regrow itself from their former self (Mother Plant). Clones are an exact replica of the mother plant, hence the name, clones. Cloning isn’t a difficult process, but it is tedious. 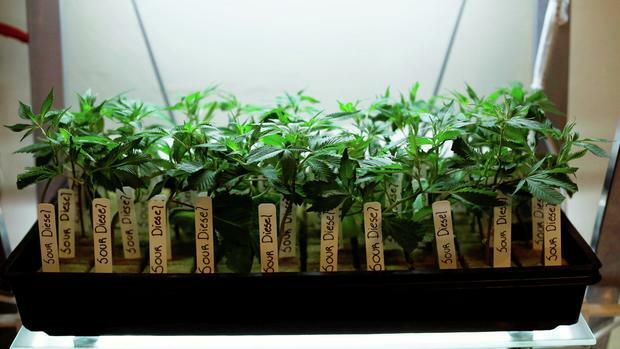 Unfortunately, we can’t offer a comprehensive article on every aspect of growing clones, but we can provide a few tips and pointers to help your little clone grow big and strong. For plants to survive indoors, it’s best to have a controlled environment, temperature and humidity levels play a huge part in your success. With climate control, this includes ventilation, light source space for plants, and all the equipment you need to care for them. Remember, clones are much more sensitive than an already developed plant. Make sure to keep an extra close eye on them within the first 7-10 days. Be sure to have all the nutrients and transplant soil you will need before purchasing clones. Clones are further along than seeds, rooted and grow quickly. Keeping your grow area sterile is very important. Clones are very susceptible to bacteria, mold, and mites. Make sure your plants roots are growing in clean, healthy soil/coco. Spraying your clones with water could lead to mold on the leaves or rot, we find that it’s best to wet the medium your plants are growing in, rather than the plant itself. Be sure not to over water as this can cause drowning and root rot. Provide your Clones with a specific amount of light and nutrients. Ask us for our feeding and light schedule, switching formulas can put plants in shock. You cannot feed these clones just water.